Orangutan, the world’s largest arboreal mammal, means “people of the forest” (Orang – people, Hutan – forest) in Indonesian. Once they were widespread throughout Southeast Asia, but now wild orangutans are limited to only two places in the world, Sumatra and Borneo. Unfortunately, Orangutan populations have declined on both islands drastically over the last century. 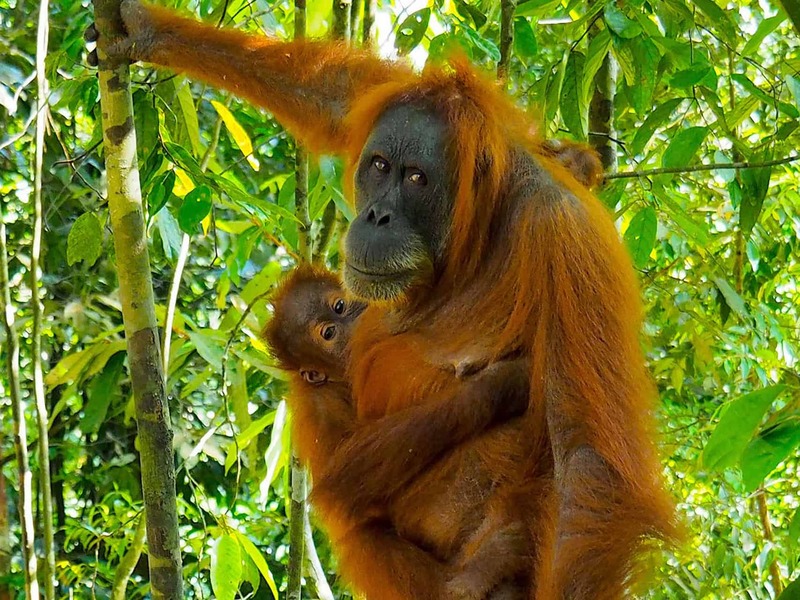 Sumatran and Tapanuli orangutans are found only on the Indonesian island of Sumatra. 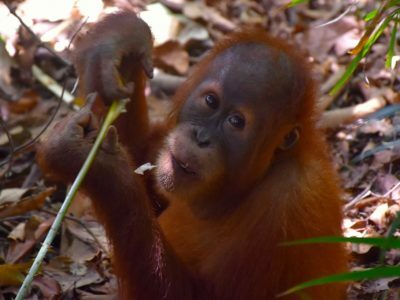 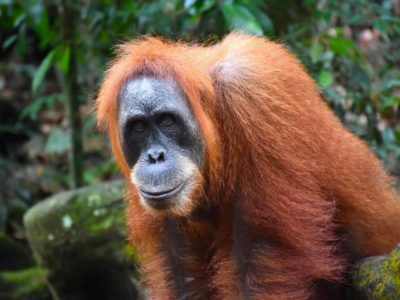 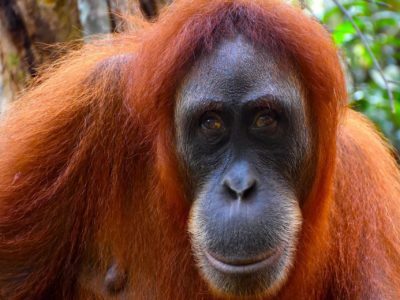 With just over 14,000 Sumatran orangutans, and approximately 800 Tapanuli orangutans individuals left in the wild, both species are in critical danger of extinction. 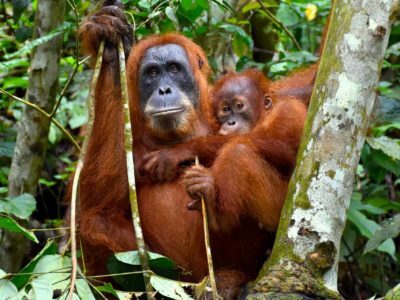 The expansion of oil palm plantations into fragile Eco-systems is the most acute threat to their survival. But illegal logging of timber and pet trade also add to their decline. 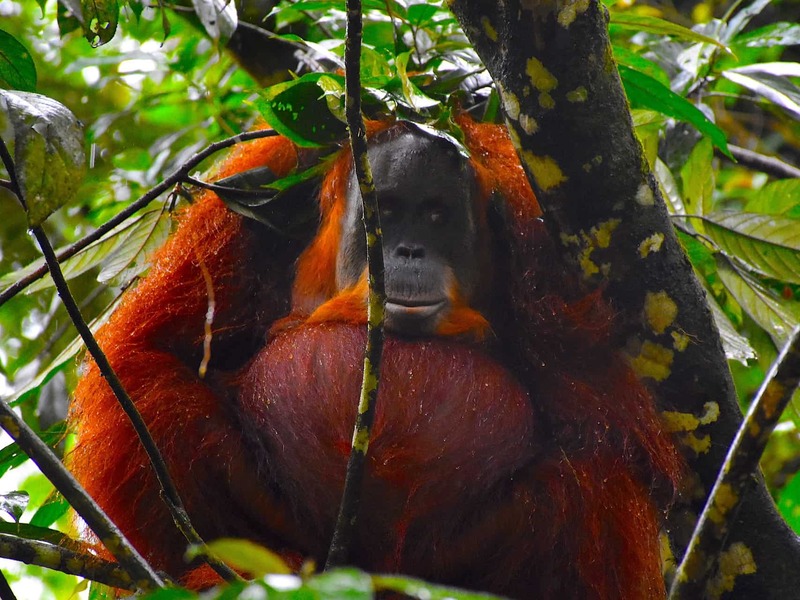 The forest surrounding Bukit Lawang still offers big opportunities to observe semi-wild and wild Sumatran orangutans. 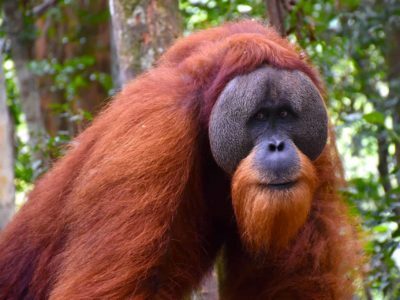 Adults of this species stand to about 1.4 meters tall and males weigh up to 80 kilograms. Females are smaller, 0,9 meters on average and they weigh up to 40 kilograms. 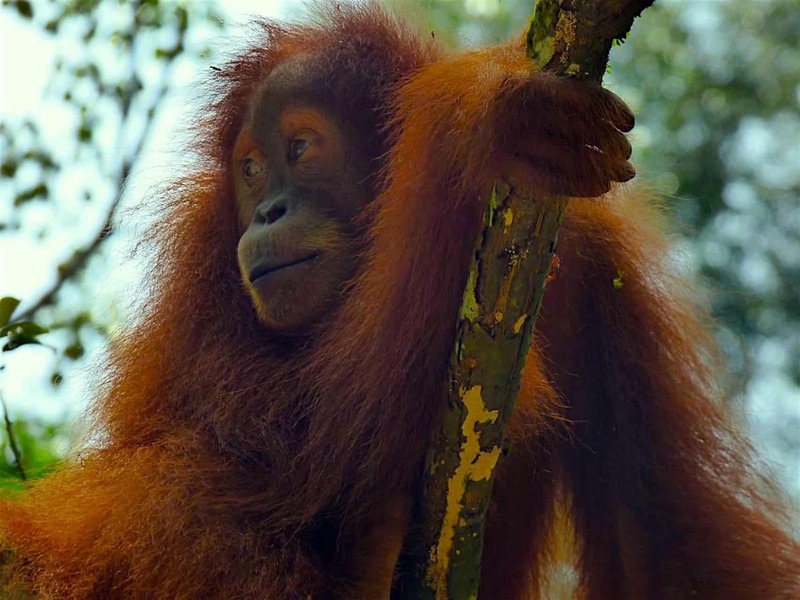 Their life span is long, often around 45 years in the wild. And they have the longest inter-birth interval of any land-living animal, producing a single infant only around once every 8 years. 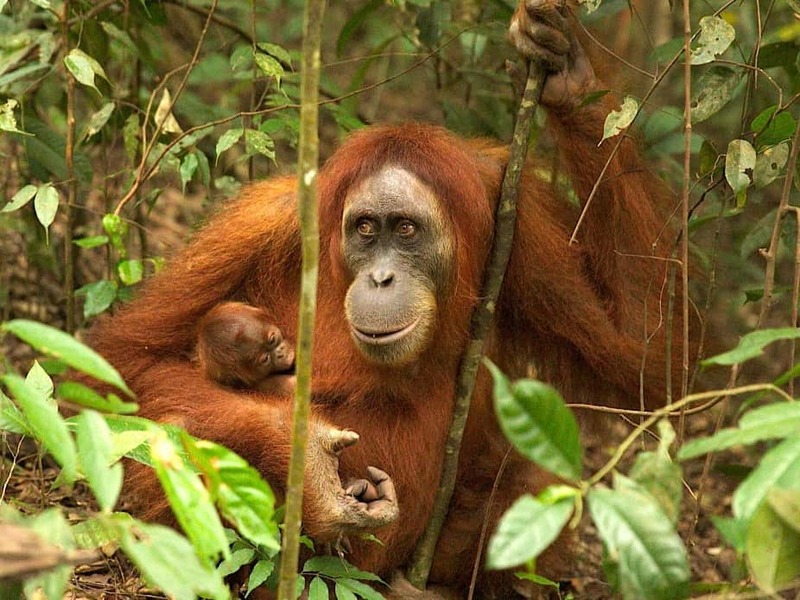 The infants stay with their mother until they are 7-10 years old. 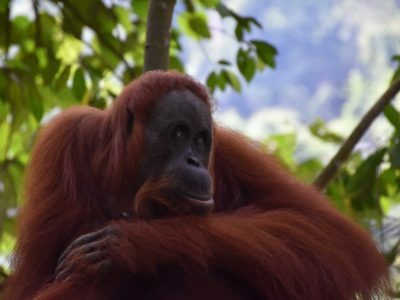 Thus, a female will usually have no more than 3 offspring in her life. 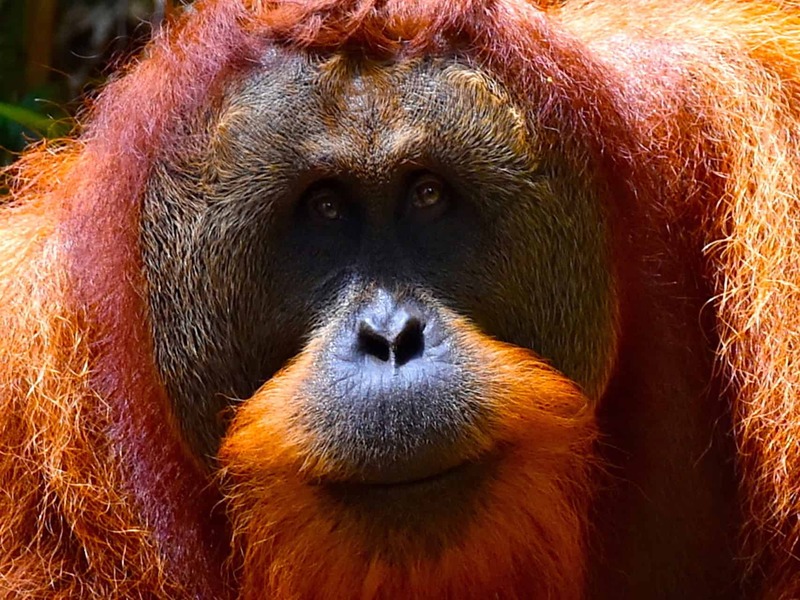 Orangutans are arguably the most intelligent of the great apes and one of our closest relatives. 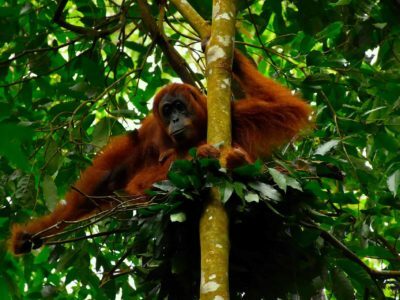 They spend most of their lives in the tops of the trees and climb from branch to branch. 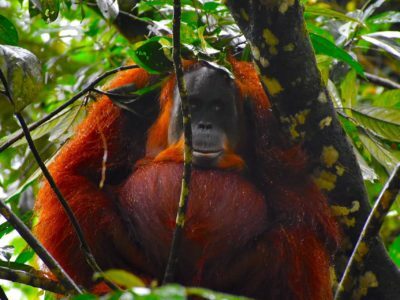 Orangutans can make several kilometres per day, looking for food and making a new nest each night in a tree for sleeping, only coming together for minimal social interaction. 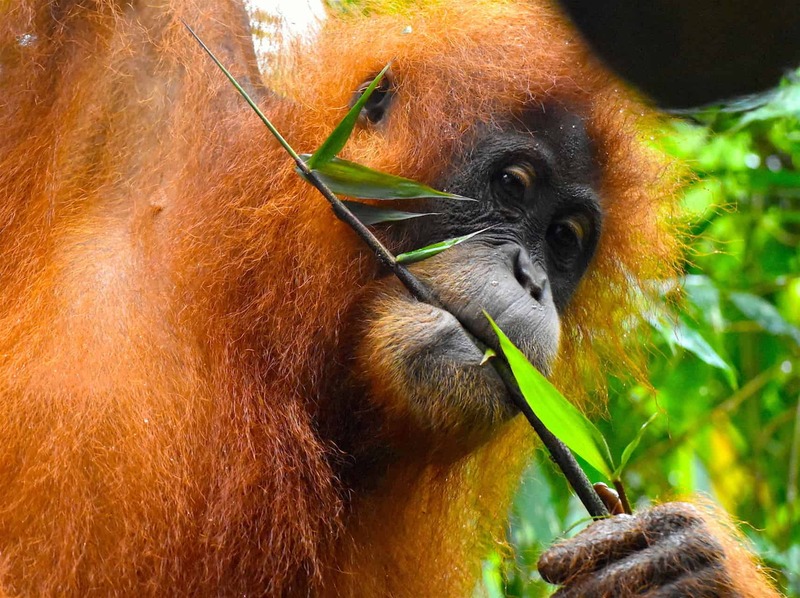 Their diet generally consists of vegetarian items and insects. 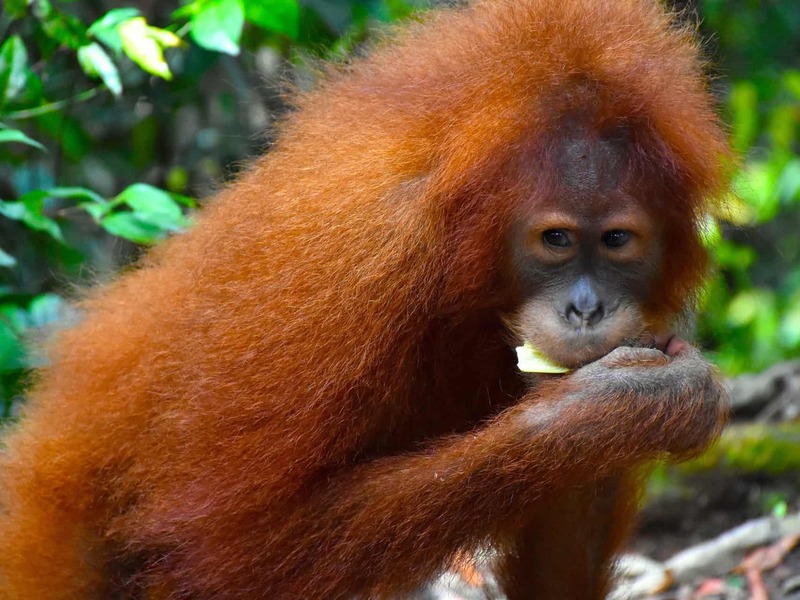 These great apes prefer leaves and fruits including figs and jack fruit, but they also often eat bird eggs, small vertebrates, termites or ants. The International Union for Conservation of Nature lists Sumatran orangutans as critically endangered. 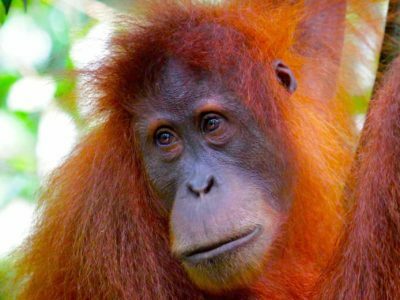 Current estimates suggest that they could be the first great ape species to become extinct in the wild! Our partner Sumatran Orangutan Society (SOS) exists to protect Sumatran orangutans, their forests and their future. Have a look for more information to support their activities on https://www.orangutans-sos.org.